Tata Safari Storme 2.2 VX 4X4 | most detailed review | features | price | specifications !!! BMW X1 Sdrive 20d Xline 2018 Edition | most detailed review | features | price | specs !!!! Bajaj Pulsar 150cc UG5 double disc brakes 2018 edition | chrome black | detailed review !!! Uniti Electric Car | walkaround review | actual look !!! Ford Freestyle Titanium plus | detailed review | specifications | features | mileage !!! UM Renegade Duty Ace | walkaround review | actual look !!!! Toyota Yaris VX Automatic | launched | detailed review | features | price | specifications !!!! Okinawa Ridge Electric Scooter | walkaround review | actual look !!! Cleveland CycleWerks (CCW) Bikes in India | misfit | ace deluxe | actual look !!!!! Hyundai Elite i20 Asta 2018 edition | most detailed review | interiors & exteriors !!!! Hero Passion XPro 110 Disc Brake i3s 2018 edition | black | detailed walkaround review !!! Mahindra XUV 500 2018 Facelift | most detailed review | features | specs | price !!!! 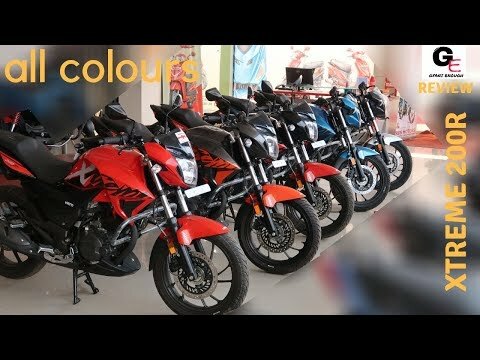 Bajaj Pulsar RS 200 2018 Edition | detailed review | features | price | mileage | specs !!! Maruti Suzuki Ertiga 2018 edition | detailed review | interiors & exteriors !!! Audi Q5 Multimedia Interface Review (MMI) | Features | specifications roundup !!! Tata Nexon AMT 2018 | walkaround review | actual look !!!! Honda Clarity Fuel Cell 2018 | walkaround review | actual look !!!! Hyundai Creta sx(o) 2018 edition black | most detailed review | price | mileage | features !!! Moto Guzzi Eldorado 1400cc | walkaround review | actual look !!!!!! Honda CB Hornet 160R standard | detailed review | price | mileage | features !!!!! Renault Captur RXL Dual Tone 2018 edition | most detailed review | price | features | specs !!! Suzuki Intruder FI ABS 2018 Edition | detailed review | features | price | mileage !!!!! Jeep Compass Limited (o) 2018 edition | dual tone | most detailed review | interiors | exteriors !!! bajaj V12 2018 edition | most detailed review | price | mileage | features | actual look !! OPPO F7 | most detailed review | camera review | features | specs | price !! Datsun Go Remix Edition 2018 | most detailed review | features | price | specs !!! Bajaj Pulsar NS 200 2018 edition | detailed review | price | features | mileage !!!!! Suzuki Gixxer SF FI ABS 2018 edition | detailed review | price | mileage | features !!! Vintage cars | bikes collection | walkaround review | old is gold !!!!! Honda CB Hornet 160 R Special Edition 2018 | Led Headlamp | ABS | Dual Disc Brakes | review !! Yamaha Fascino 2018 special edition | walkaround review | actual look !!!! Tata Motors Nexon XM variant | most detailed review | features | price | specifications !!!! Tata Motors 45X Concept car 2018 | walkaround review | actual look !!!!! Honda Unicorn 160 2018 edition | most detailed review | price | mileage | specs | features !!! Hyundai Elantra sx(o) 2018 edition | most detailed review | price | interiors | features !!!! Bajaj Pulsar 150cc double disc brakes 2018 edition | detailed review | price | mileage | specs !!!! Maruti Suzuki E - Survivor Concept | electric car | interiors & exteriors | walkaround review !!! TVS Apache RTR 160 4V | most detailed review | price | features | mileage !!! Honda CBR 250R 2018 edition | detailed review | price | features | mileage | specs !!! !